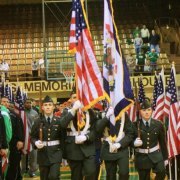 HUNTINGTON,WV - Demolition crews and cranes ravaged the west side of the former Veteran's Memorial Field House on the first day of bringing down the house for a soccer stadium. 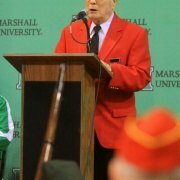 Most have already said their farewells to the 55 year old landmark, but we wanted to look back to February when former Marshall basketball team members gathered for a last night of memories. 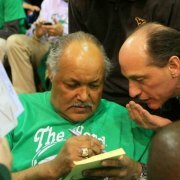 Here is that story with photos by the late Chris Spencer. 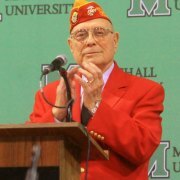 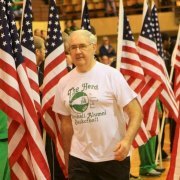 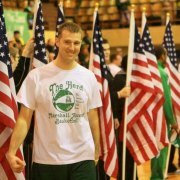 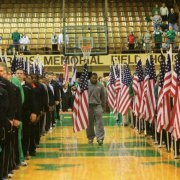 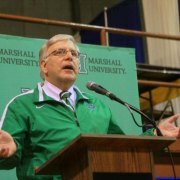 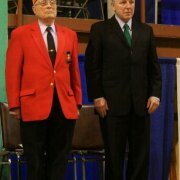 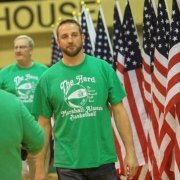 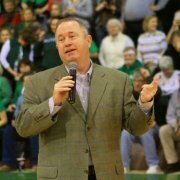 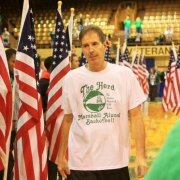 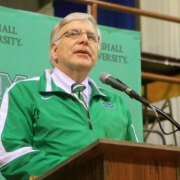 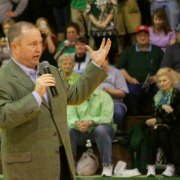 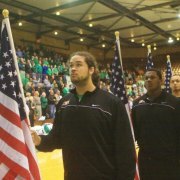 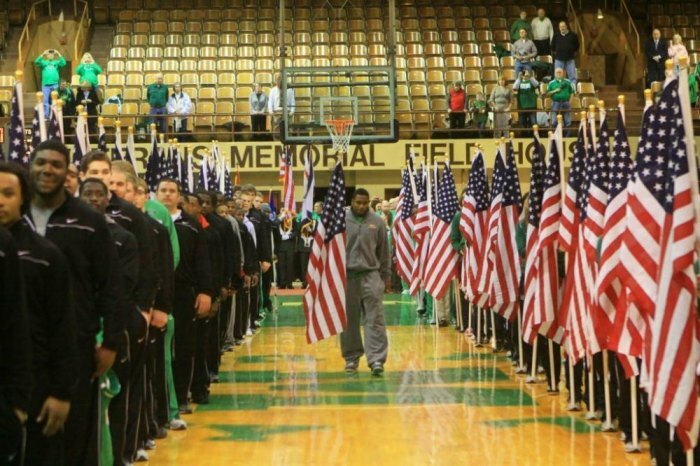 A farewell to the Veteran's Memorial Field House was presented on Friday night with a ceremony and former members of the Marshall University basketball team returning to play, visit and bid a farewell to the field house that holds many memories for them and many fans. 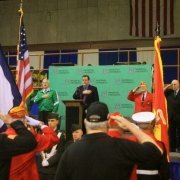 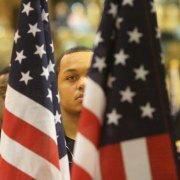 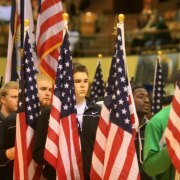 The opening ceremony was indeed impressive with a display of American Flags on the floor. 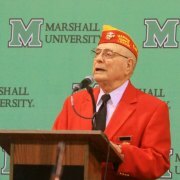 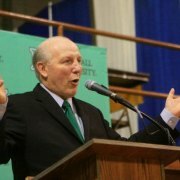 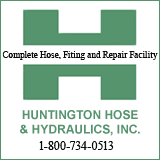 Words came from Huntington Mayor Kim Wolfe, Marshall University Stephen Kopp, Medal of Honor Recepient Hershel "Woody," Williams and Greater Huntington Parks and Recreation District Executive Director Kevin Brady. 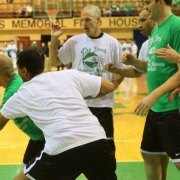 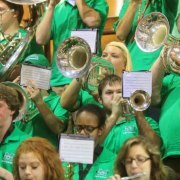 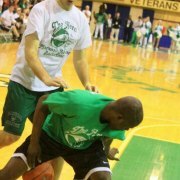 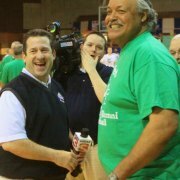 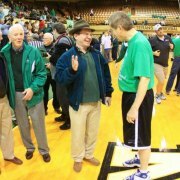 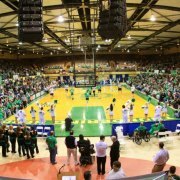 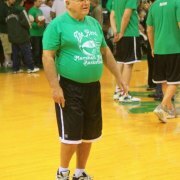 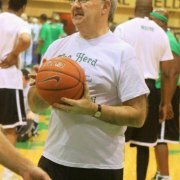 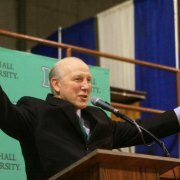 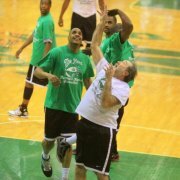 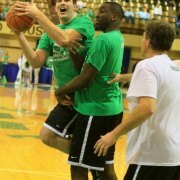 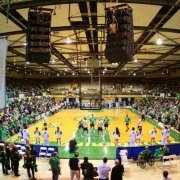 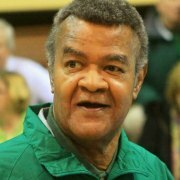 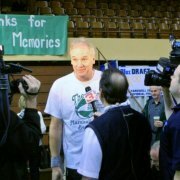 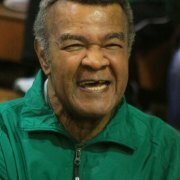 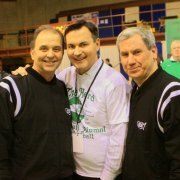 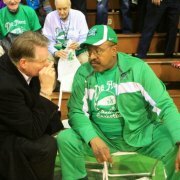 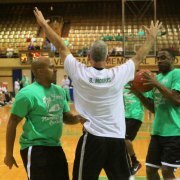 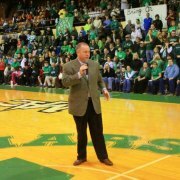 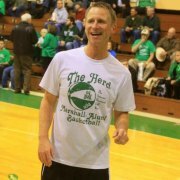 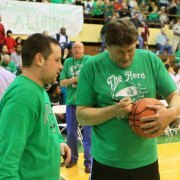 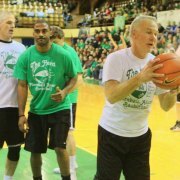 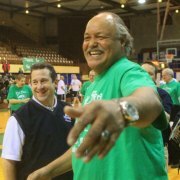 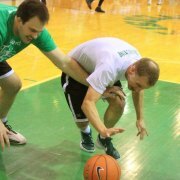 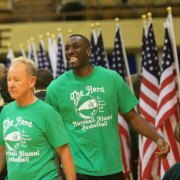 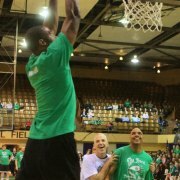 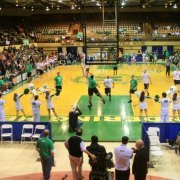 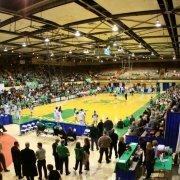 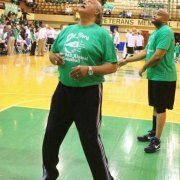 How often does it happen the good, the great and legends of Marshall basketball come together one time under one roof? 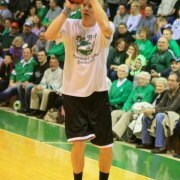 Not often. 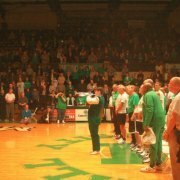 This night Feb. 10, 2012 it did. 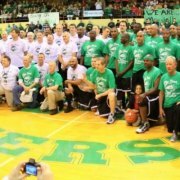 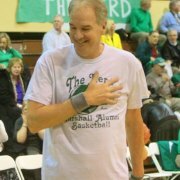 The alumni game brought a crowd of thousands to the field house one final time. 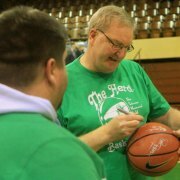 Many were getting autographs or having pictures taken with their favorite Marshall basketball players. 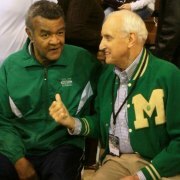 Many were taking pictures of the legendary Hal Greer and Russell Lee together. 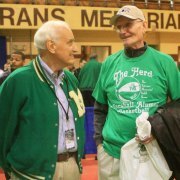 Add in others like Sonny Allen, Ken Labanowski, Gary Orsini, David Wade, Reggie Giles, Charlie Slack, Walt Walowack, Joda Burgess, Jean Francois Bro Grebe, and there were more. 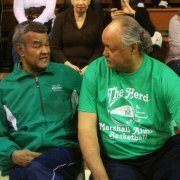 These were the players that brought the memories and now told stories for Marshall basketball fans. 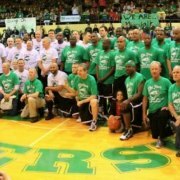 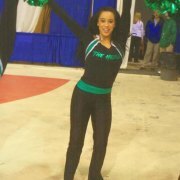 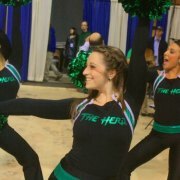 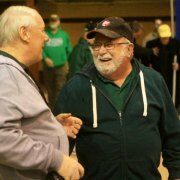 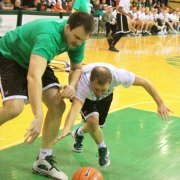 A green and white game was played. 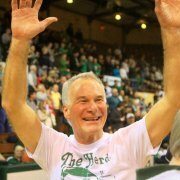 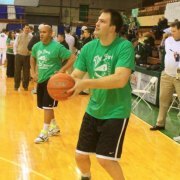 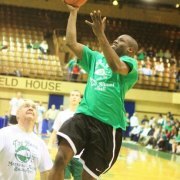 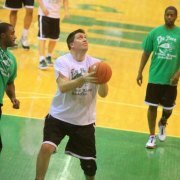 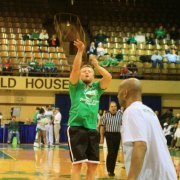 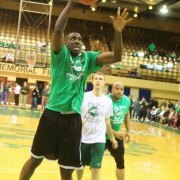 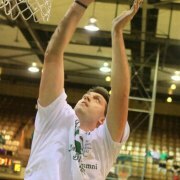 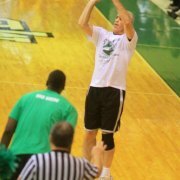 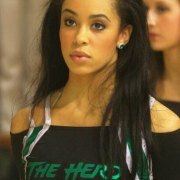 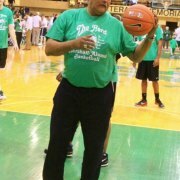 Joda Burgess opened the game taking a three point shot like he had done as a Marshall player years before. 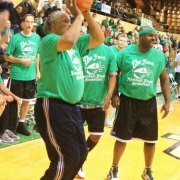 The game ended with Russell Lee trying to tie the game with an almost made three pointer. 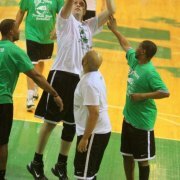 The white team won 101-98. 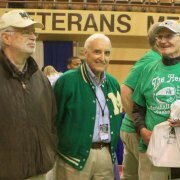 At the end of the game a video presentation made by Mike Powers about the history of Veteran's Memorial Field House was presented that brought a standing ovation. 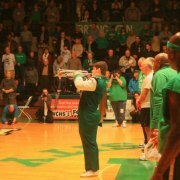 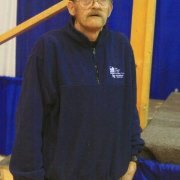 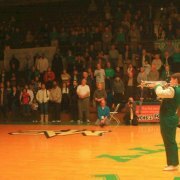 Taps were then played putting the lights out for the last time for a basketball game at Veteran's Memorial Field House. 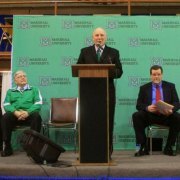 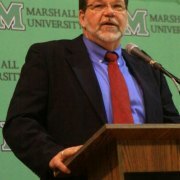 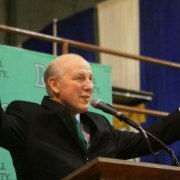 Construction will begin with the tearing down of the field house and a new Marshall soccer complex will be built.